You would think that, upon amassing millions up millions of dollars from an empire of clogged arteries, you'd amass a car collection of taste, of style, of interest. Not Guy Fieri. Guy Fieri, Food Network star and infamous creator of the mysterious "donkey sauce," has created an automotive equivalent of donkey sauce in his garage. (Full disclosure: I once went to Guy Fieri's American Kitchen & Bar near Times Square, because I was young and stupid and I wanted to visit Flavortown. It remains, to this day, the only restaurant I have ever vomited in before leaving. Featured in the latest issue of Food Network Magazine, the #1 magazine for people who can't stand Simply Ming, Guy's collection spans the gamut from one black car to everything else in yellow you would see in your neighbor's driveway, you know which neighbor I'm talking about, the one who seems to have all the money in the world, even owns a Lamborghini, yet still holds firm to the belief that the 1978 DeTamaso Pantera was the fastest car ever built. Guy Fieri shows Food Network Magazine his collection of great American cars. It now has a fish on it. There's also a yellow Corvette with chrome wheels, because of course there is, a yellow Chevelle with chrome wheels, because of course there is, another yellow Corvette with chrome wheels, because of course there is, a yellow Chevrolet Kodiak that Fieri has given the nickname of "Full Bore," because of course he has, and a yellow Camaro with black and chrome wheels, because of course there is. 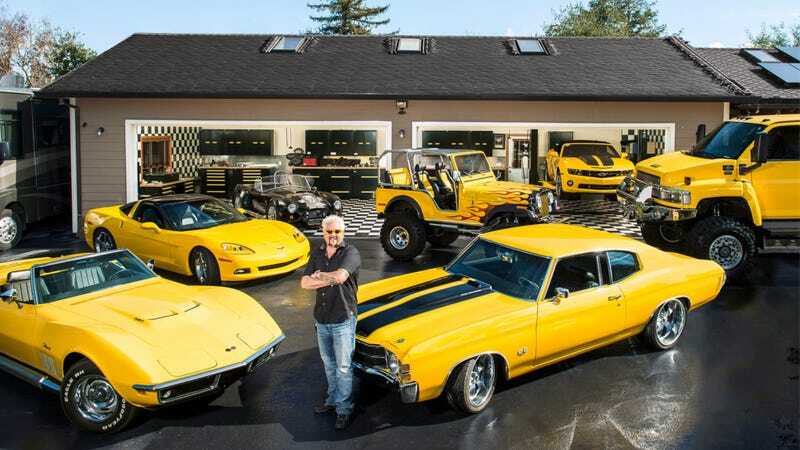 Guy Fieri's car collection is the Guy Fieri of car collections.